Hi, Good Morning. Thankyou friends and viewers. 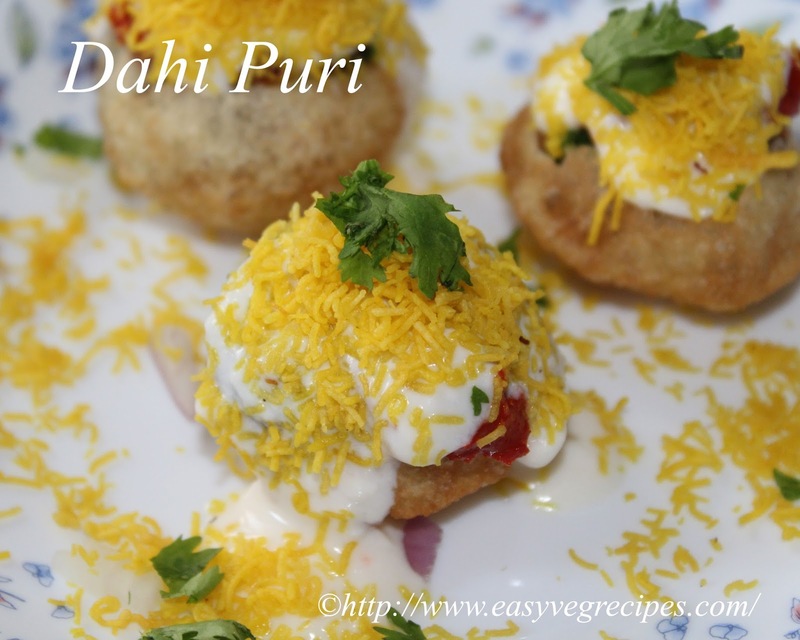 Today I will post how to make Dahi Puri Recipe. Dahi puri, pani puri, chat, ragda samosa, and pav bhaji are some of the famous North Indian street foods. Punukulu, bonda, masala vada, mirchi bajjji, and bajji with any other vegetable are some of the famous South Indian street foods. Apart from idli, dosa, vada, and puri street vendors serve these also. I like both North Indian and South Indian foods. If it is cold or rainy I prefer South Indian street food. If it is warm I go for North Indian street food. I love to make them at home instead of going out and have them. We can have healthy and tasty and of course fresh evening snacks. When kids wanted to have them, they will ask a day before. So I will prepare everything at home. Kids asked for Pani puri I prepared for Dahi puri also. Pani puri recipe is already there in the blog. Green Chutney, red chutney, and sweet chutney made at home. I prepared them a day before and keep readily available in the refrigerator. This makes the task easier. I make puri also at home only, but sometimes I use store-bought Pani puris. Boiled potatoes in the morning itself while I was cooking lunch. Chopped onions and tomatoes and kept ready for it. I have hyperlinked green chutney. 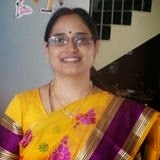 The procedure for making red chutney and sweet chutney recipes is given in the post itself. I could not make a separate post for them. 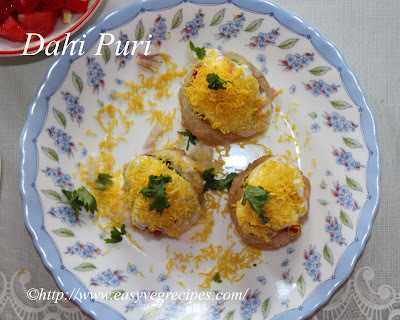 Dahi Puri -- Sweet and sour chat made with puris and curd -- sa street food. Boil water for five to ten minutes. Add garlic and soaked red chillies in a blender jar. Soak tamarind and dates in little amount of water for about 10 minutes. Let this to boil for five minutes. While boiling them, add salt, red chilli powder and garam masala..
Add kala namak, coriander powder and let this boil till the dates cook completely. Allow this to cool completley. Put this in the blender jar and blend it to make smooth chutney. Prepare all the chutneys a day before and keep them readily available. Boil potatoes for three to four whistles in a pressure cooker. Peel their skin and chop them when they are cooled enough to handle. Get sev also prepared or else we can get it from any nearby store. Beat the curd with whisker and keep it aside. In a plate arrange as many puris as you want. I placed only three puris, as my kids wanted only that many. We cannot keep it prepare and serve later. We have to do it just before serving. So keep only as many we want to have at a time. Break them from the center. Stuff with chopped potatoes, tomatoes and onions. Top them with green chutney, sweet chutney and red chutney one after the other. Top them according to your taste. I stuffed them with more green and red chutneys and lesser the quantity of sweet chutney. Add whisked curd on each puri. Sprinkle lot of sev on top of each puri so as to cover it fully with the sev.